I found a new blog that I love!! 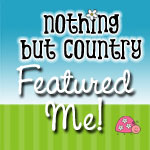 It's called Nothing But Country and I found this cool idea and pdf there. The kids received flower pots and veggie seeds for Easter and these magic jelly beans were included. My husband printed these out for me at work b/c the color part of my printer doesn't work. The kids were guessing that the "seeds" would grow more jelly beans or jelly bean trees. When we finally had a day without rain we went outside to start planting. WARNING: gardening can be dangerous and protective head gear should be worn at all times. TaaDaa! These were supposed to bloom on May first for May Day but we were camping. The kids were excited to find this surprise on the kitchen table this morning when they came downstairs before school. However, they did not believe the flower suckers grew from the jelly bean seeds, not even my four-yr-old. Apparently, using kid logic, if I had removed the plastic wrapping from the suckers, it would have been totally believable. I tried to tell them it was a protective casing like when the green bean plant grows it sheds its seed casing. They didn't buy it. It was still fun and definitely worth the effort! I found the flower bundles at CVS in the Easter section. Happy May Day everyone. I hope the flowers are blooming at your house too! How very cool!! Makes me smile so very much that your kids enjoyed this and you used our packet download. Its nice to see it action. Makes it all the more special.